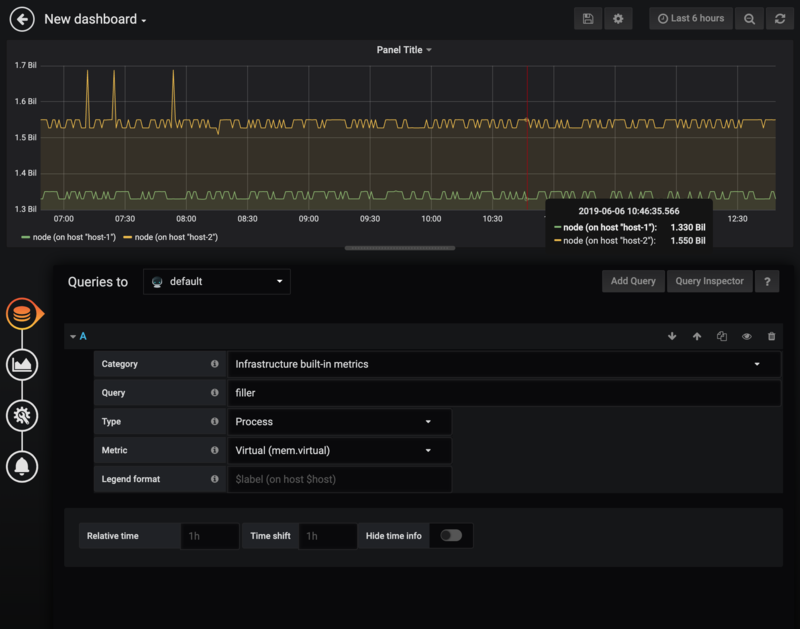 Want to be notified of new releases in instana/instana-grafana-datasource? 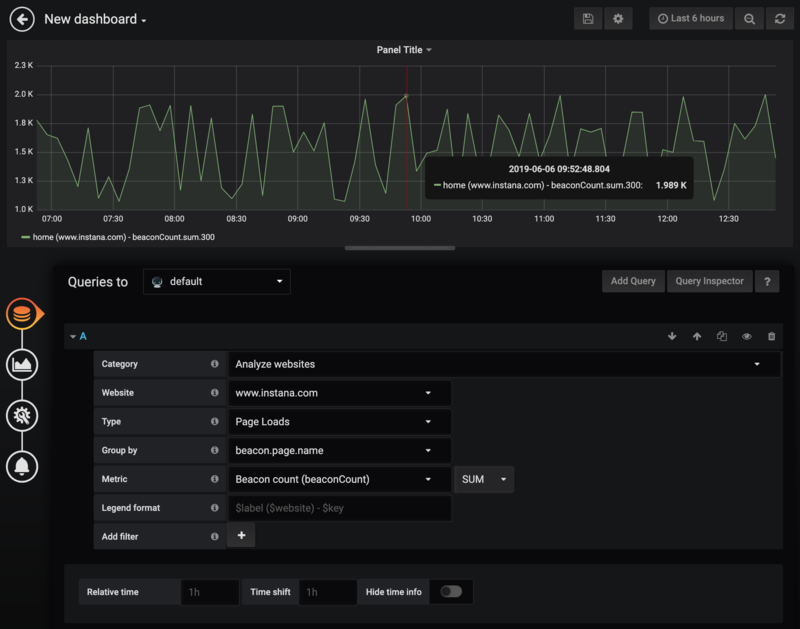 This is a Grafana datasource for showing metrics from Instana AI-Powered APM for dynamic applications. Attention: For On-premise customers Instana Release 146 is required. To start, enter the Dynamic Focus query. 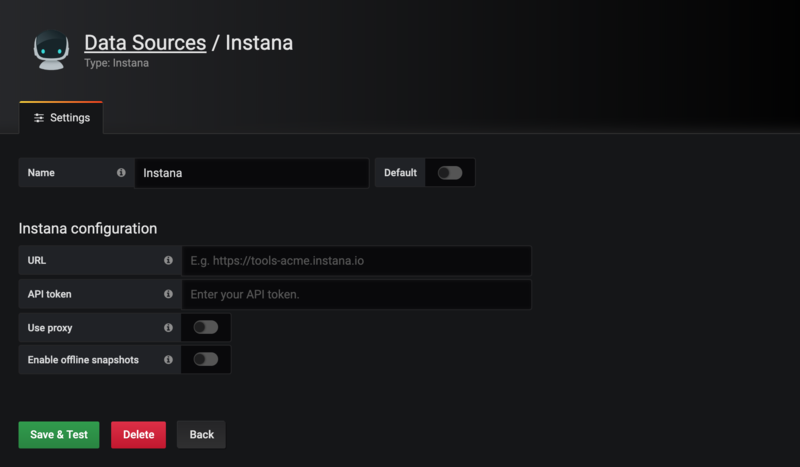 This is exactly the same as used in the Instana dashboard; you can test your queries in Instana and then copy and paste them into Grafana. 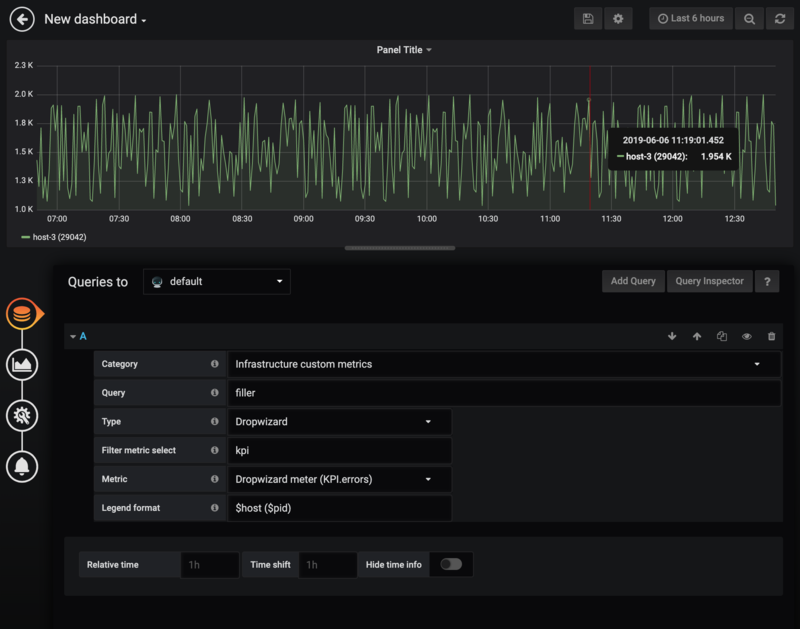 NOTE Saved filters are not currently supported by the Grafana datasource plugin. Once you filled in the query the available types dropdown will be automatically populated, select the type you want. As you select the type, the available metrics dropdown will be automatically populated, select the metric you want. If your Dynamic Focus query matches multiple instances then, the returned dataset will include metrics from all those matching instances, providing graphs with multiple plots like the example below. To choose custom metrics matching your query you need to select "Infrastructure custom metrics" from the category dropdown, which will automatically populate the available types dropdown. As you select the type, the available metrics dropdown will be automatically populated, select the metric you want. As there might be a huge amount of custom metrics, you can specify an optional filter to reduce to a corresponding subset. If your Dynamic Focus query matches, the returned dataset will include metrics providing graphs like the example below. If no custom format is provided the default '$label (on host $host)' will be shown. 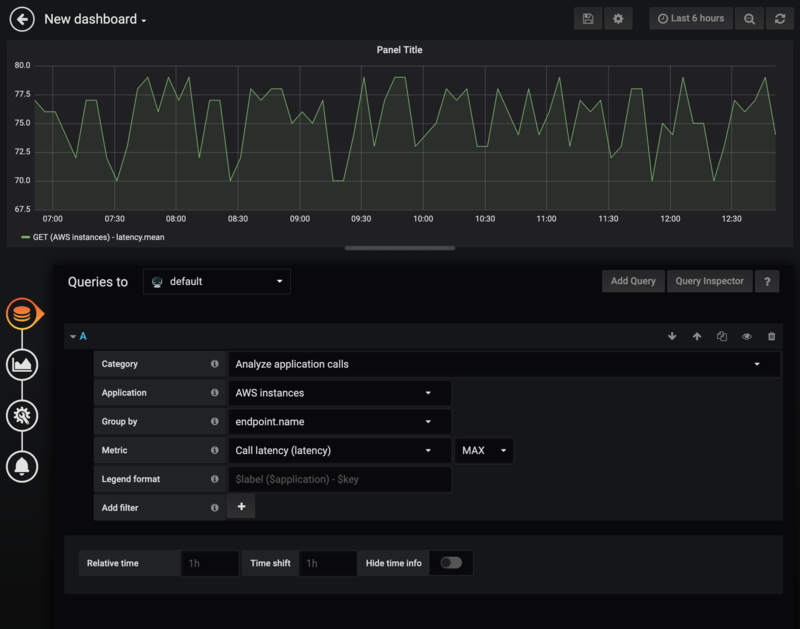 To choose application metrics you need to select "Application metrics" from the category dropdown. This will populate the other dropdown lists. The "Application" dropdown will contain a list of all applications sorted by their name. Most metrics will have more than one aggregation type (SUM, MEAN, ...) and you can choose which one to use. It's also possible to add additional filters via "add Filter". Multiple filters are concatenated using "AND". If your selection matches, the returned dataset will include metrics providing graphs like the example below. If more then 20 metics are fetched, a warning appears that not all results are shown. Add Filter to narrow down the data. If no custom format is provided the default label '$label ($application) $metric' will be shown. To choose EUM website metrics you need to select "Website metrics" from the category dropdown. This will populate the other dropdown lists. The "Website" dropdown will contain a list of all websites sorted by their pageloads. A default label '$label ($website) $metric' will be shown. If no custom format is provided the default label '$label ($website) $metric' will be shown.